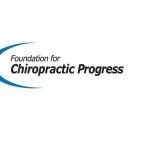 January 26, 2015 — Earlier this month, the American Chiropractic Association (ACA) made a statement in response to a new report released by the National Institutes of Health (NIH) regarding multidisciplinary approaches to chronic pain. An excerpt of the NIH press release about the report is posted below, followed by the ACA’s comments. An independent panel convened by the NIH concluded that individualized, patient-centered care is needed to treat and monitor the estimated 100 million Americans living with chronic pain. To achieve this aim, the panel recommends more research and development around the evidence-based, multidisciplinary approaches needed to balance patient perspectives, desired outcomes, and safety. Chronic pain is often treated with prescription opioids, but the panel noted widespread concern with this practice. Although some patients benefit from such treatment, there are no long-term studies on the effectiveness of opioids related to pain, function, or quality of life. There is not enough research on the long-term safety of opioid use. However, there are well-documented potential adverse outcomes, including substantial side effects (e.g., nausea, mental clouding, respiratory depression), physical dependence, and overdose—with approximately 17,000 opioid-related overdose deaths reported in 2011. The panel identified several barriers to implementing evidence-based, patient-centered care. For example, many clinicians do not have tools to assess patient measures of pain, quality of life, and adverse outcomes. Primary care practices often do not have access to multidisciplinary experts, such as pain management specialists. Insurance plans may not cover team-based, integrative approaches that promote comprehensive, holistic care. In addition, some plans do not offer effective non-opioid drugs as first-line treatment for chronic pain, thus limiting a clinician’s ability to explore other avenues of treatment. Once a health provider has made the decision to use opioids, there are insufficient data on drug characteristics, dosing strategies, or tapering to effectively guide clinical care. The panel’s final report, which identifies future research and clinical priorities, incorporates the panel’s assessment of an evidence report, expert presentations, audience input, and public comments. The panel’s report, which is an independent report and not a policy statement of the NIH or the federal government, is now available online. Click here for the full press release regarding the panel report.